You do most of your riding in overcast to partly sunny conditions, and that's why the Grayne MTN Goldrush lens is the perfect lens for you. Designed to bring out definition and provide crystalline clarity in those conditions, the MTN Goldrush lens is one of the highest performing lenses on the market! A spherical dual lens designed with 5x military grade anti-fog and sealed with Grayne's moisture-lock technology, you will never have a foggy day on the hill again. The lens also comes with UV treatment and is covered with an ultra-hardened anti-scratch layer of protection. 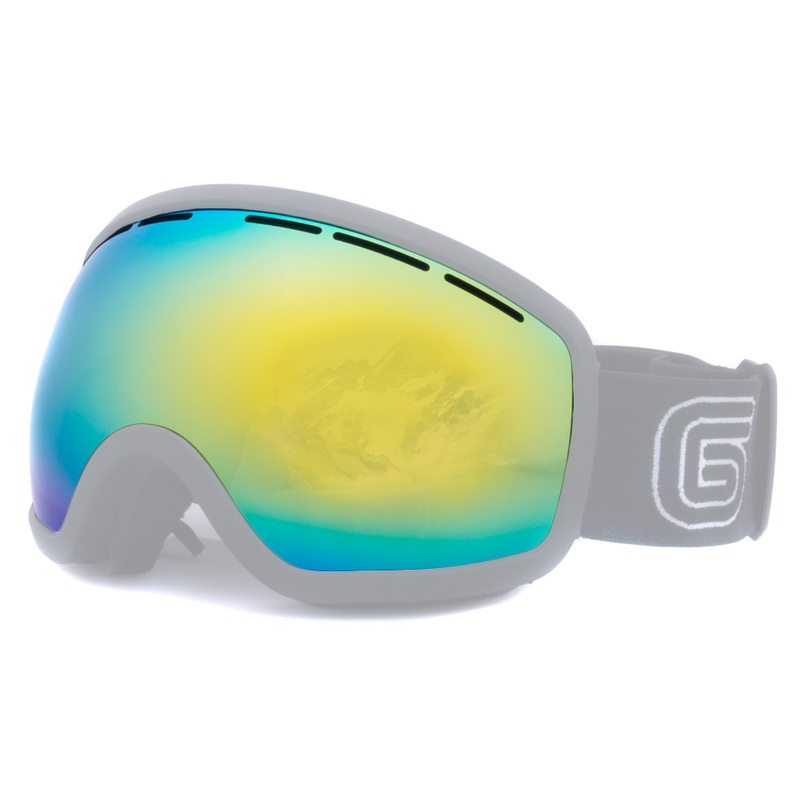 See the slopes better with the Grayne MTN Goldrush lens!